A magnetic circuit may be considered as path followed by the magnetic flux. 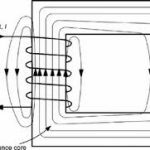 A rectangular core of magnetic material is wounded with N turn of a coil carrying a current of I amperes. 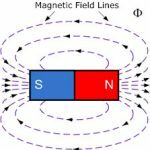 Types of magnetic material are wounds with N turn of a coil carrying a current of I amperes. 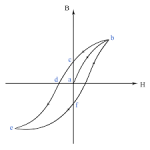 The same flux ∅ passes through all the parts of the series magnetic circuit. The total reluctance of the series magnetic circuit is the sum of the reluctances of the series- connected parts of the magnetic circuit. The total mmf is equal to the sum of the mmfs required for the individual parts of the series magnetic circuit. A parallel magnetic circuit has the same mmf appearing across all the parallel parts. The total is the sum of the fluxes in the individual parallel parts of the magnetic circuit. The reciprocal of the effective reluctances is equal to the sum the reciprocals of the reluctances of the individual parallel parts.